Last weekend's CLE 230 overall results have now been tabulated. Reports from European NDB hunters and those from North America and the rest of the world may all be found here at the NDB List info website. If you have joined the NDB List group, a copy of these will have already been sent to your mailbox. It seems that compared to the last time these same frequencies were searched (CLE 213 Nov '16), my results were a little poorer, with 36 beacons heard this time versus 52 for the previous effort. 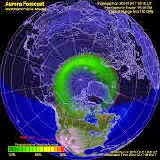 Propagation varied over the three night event depending upon what part of the world you were listening from and as usual, when there has been some recent coronal hole induced geomagnetic disturbance, the further away from the auroral zone you were, the better the prop seemed to be. The third and final night saw summer-like lightning noise for most North American listeners and the next several CLE weekends will be lucky to escape these rising levels until late in the fall ... but don't give up as there can be some great propagation in the summer and those quiet nights do come around when you least expect them. In spite of the poor propagation here, there were some unusual quirks. Many of the 25 watt, normally easy NDBs from the central and southern states, were missing in action ... yet on all three nights, both FIS in Key West, Florida and SQT, up the coast on Florida's central eastern shoreline, were easy copy for several hours. I can only guess that the reason for this is that both of these are 'big' beacons ... big antennas and power in the 300W plus class. They just managed to power through in spite of the poor propagation. The other surprise was a loud signal on all three nights from FS in Sioux Falls, South Dakota, yet there was not even a hint of many of the other regular midwestern stations. Its reported 300W and 60' vertical is no doubt the reason. How DD in Columbus, Ohio managed to sneek through is a bit of a mystery but it looks like her 50W and classic 'T' was enough to do the trick. I managed only 36 stations but spent little time on Friday since conditions were truly dreadful. 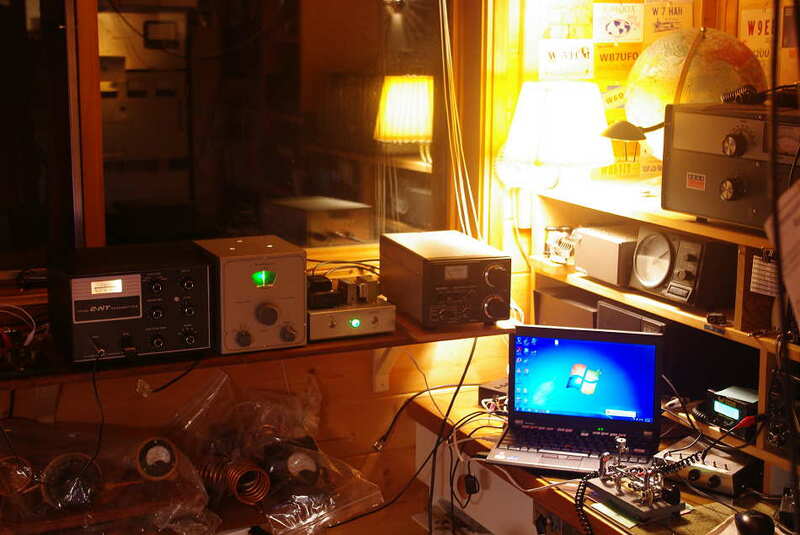 As usual, my receiver of choice was the Perseus SDR in combination with my MF inverted-L, tuned to 300kHz. The very active NDB Group.io List is a great place to learn more about the 'Art of NDB DXing' or to meet other listeners in your region. There is a lot of good information available there and new members are always very welcome. As well, you can follow the results of other CLE participants from night to night as propagation is always an active topic of discussion. This coming weekend will see another monthly CLE challenge. 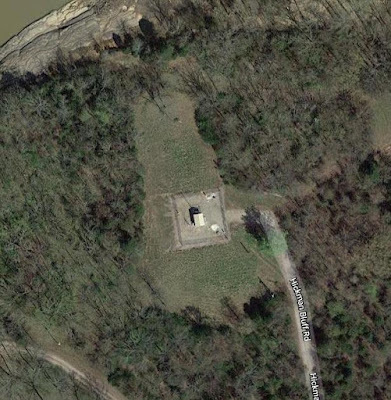 This time the hunting grounds will be: 240.0 - 259.9 kHz and 420.0 - 439.9 kHz. 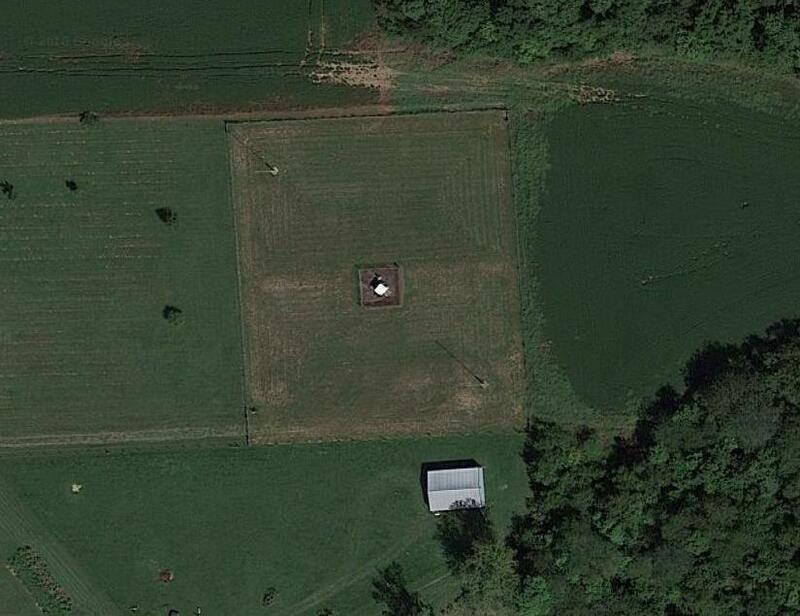 An easy challenge in this one is to hear the Sandy Lake (ONT) NDB, 'ZSJ', on 258 kHz. 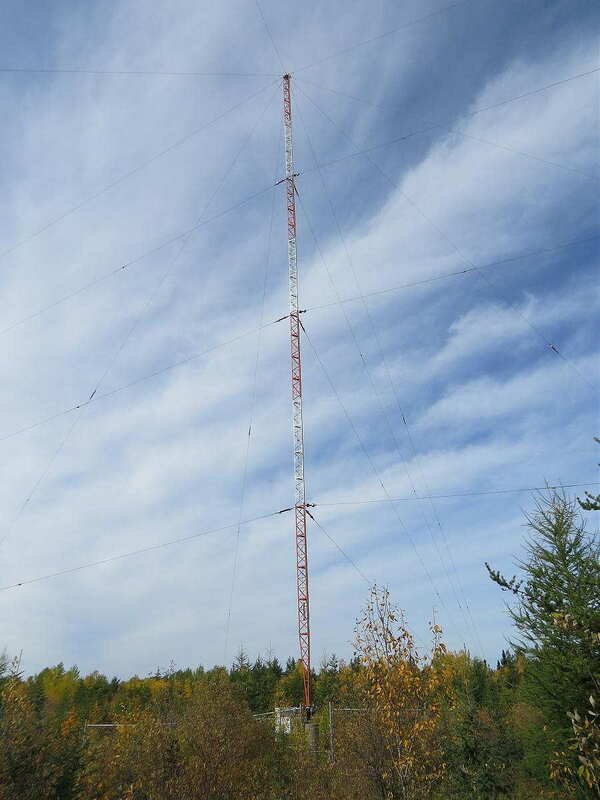 At 500W and a 150' vertical, it's well-heard throughout North America. 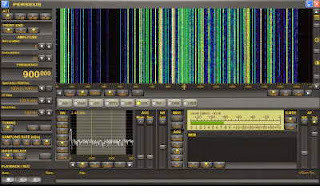 Listen for its upper-sideband CW identifier (with your receiver in the CW mode) on 258.408 kHz. Hopefully the propagation will co-operate but the Sun has been doing some strange things once again this week, as Cycle 24 continues its downward trend. Here are the brief details for our 230th Co-ordinated Listening Event. In the last Event we used a very big frequency range - 50 kHz. This time we have 40 kHz to search in, a wide range again, but without QRM from the DGPS beacons and relatively free of NDBs too, all giving us some 'easy listening'? Please listen for the NDBs whose nominal frequencies are in those ranges, plus any UNIDs you hear there. The LF range will be very challenging from most of Europe. The HF range will be very challenging from most of North America and from Australia. S E Asia has some in both ranges. First-time CLE logs will also be very welcome from anyone, anywhere. Send your final CLE log to the List, preferably as a plain text email, not in an attachment, with CLE230 and FINAL at the start of its title. Other optional details, Location, Distance, etc., go LATER in the same line (or in footnotes). Any extra details about UNIDs, especially strong ones that may be near to you (maybe their approximate direction, etc.) will help us to discover more about them. Please make your log useful to old and new members alike by ALWAYS including your own location and brief details of the equipment and aerial(s) that you were using. The Yahoo ndblist Group has just been moved to Groups.io and The NDB List Group will now be found there! 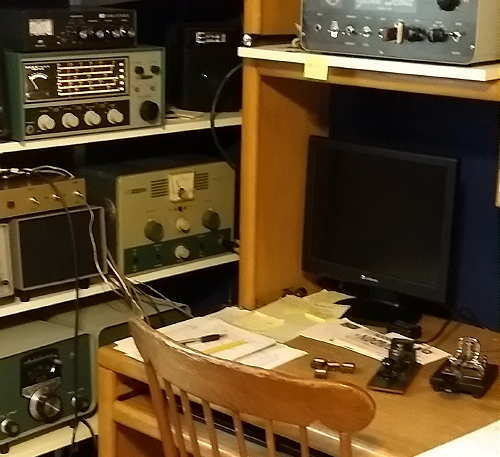 The very active group is a great place to learn more about the 'Art of NDB DXing' or to meet other listeners in your region. There is a lot of good information available there and new members are always very welcome. As well, you can follow the results of other CLE participants from night to night as propagation is always an active topic of discussion. 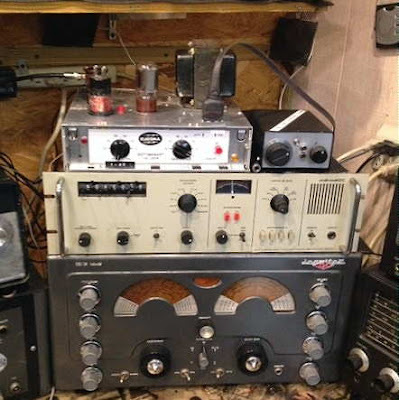 Well this year's NRR has come and gone, providing a full nine days of CW fun for those of us that love old radios. 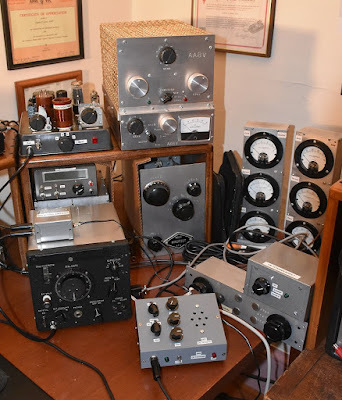 Once again, the ether filled with signals spawned from the old classic Novice-class workhorses that many of today's 'seasoned' amateurs used in their first stations, way back in their teen years. 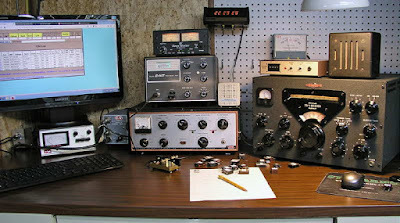 In many respects, the NRR is as close to a real time machine that you'll find, allowing participants to experience the joys, and sometimes the frustrations, of operating CW with their favorite old rigs from the past. For me, just like last year, the NRR once again provided many notable highlights over the nine day event. Almost topping the list was just experiencing the variety of old classics and hearing how well almost all of them sounded. 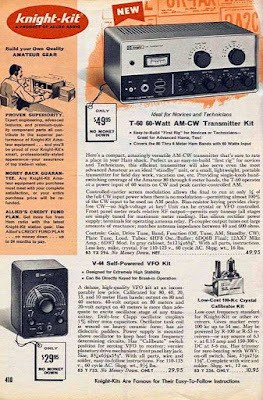 Numerous Knight T-60s, Drake 2NTs, Heath DX-40s, Johnson Adventurers and Eico 720s, along with a nice variety of homebrew MOPAs and one-tube power oscillators graced the nightly airwaves. These oft-forgotten shelf-queens always seem to develop super-powers, far beyond their expectations, when the NRR rolls around! 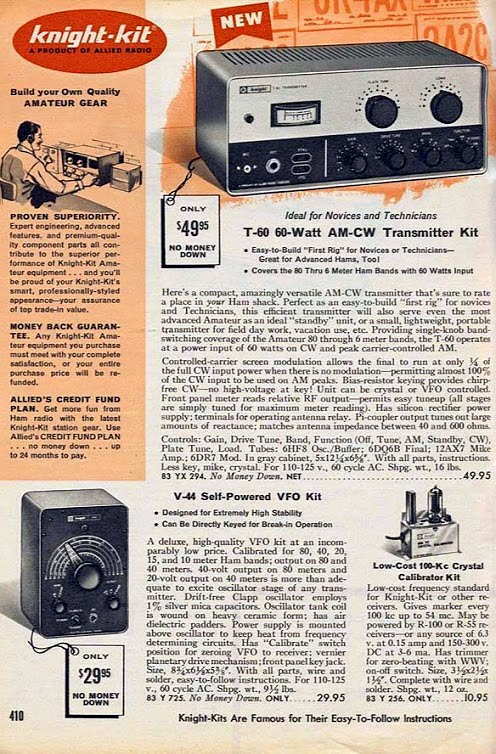 I was really surprised to work so many T-60s, a small and inexpensive 60 watt transmitter kit from 1962 using a popular 6DQ6 television sweep tube ... one never expected to achieve such RF greatness! I was very impressed with every one that I heard. What radio-struck pre-Novice teen, dreaming about getting on the air, could resist a clever ad like this. 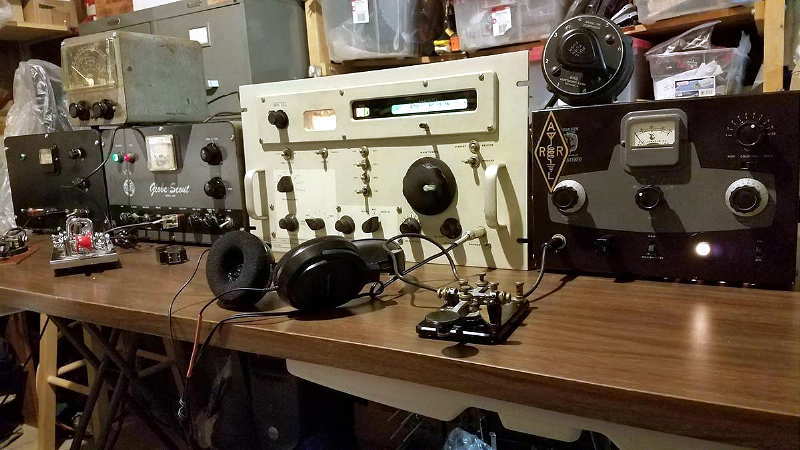 Scott, KA9P's 80m T-60 signal sounded as sweet as it looks in his 2018 setup, paired with his Heathkit HR-10B inhaler. Right up there with the plethora of T-60s was the Drake 2NT, another great sounding radio and also my choice for this year's event. 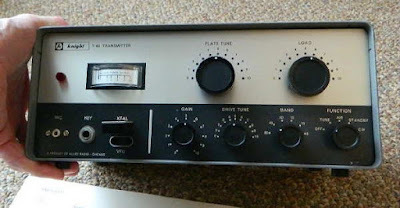 My summer refurbishing project, described here, proved a worthy companion, although my much-treasured VF-1 VFO's short term drift probably had my 2NT getting red in the face whenever I took her off of crystal control to scurry around the band, seeking out the CQ'ers. I've had a love-hate relationship with the VF-1 ever since buying my first one back in '63! Yet another 2NT packed a powerful punch from West Virginia, keyed by Dave, W3NP, when we exchanged 579 reports on 40m, 45 minutes before sunset. This year's band conditions were excellent as both 40 and 80m sounded much as I remember them sounding back in the 60's ... loaded with strong North American CW signals almost every night. Unfortunately, Solar Cycle 24 has taken its toll on 15m and although the band appeared to often have daily though somewhat dicey propagation, there appeared to be few NRR stations using the band. 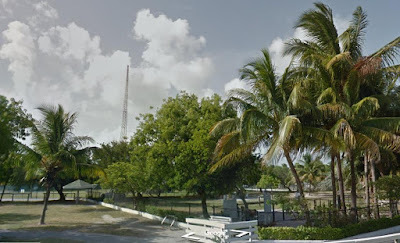 I made three contacts on 15m this year: W5IQS in Texas, K2YWE in Maryland and WN4NRR in Florida, whose S9 reply to my 'CQ NRR' just about took my head off ... what a nice surprise to hear the booming signal from Bry's 2NT powerhouse. Dan, K2YWE, was no slouch either, as his Globe Scout was music to my ears when his signal quickly rose out of the noise just long enough to make the coast-to-coast journey. If the predictions for future solar cycles become reality, there may be many more NRRs before we experience the magic of 15m once again. K2YWE's Globe Scout and Adventurer were worked on all three bands! My NRR exchanges with George, N3GJ (KA3JWJ) in Pennsylvania, truly demonstrated just how well the low bands were performing. More than an hour before my local sunset, I responded to his 569 40m 'CQ NRR' only to learn that his signal, now reaching a solid 579, was coming from an original Ameco AC-1! 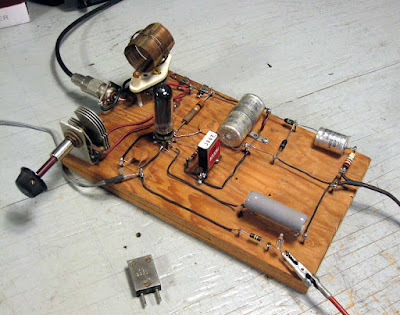 This one-tube crystal-controlled power oscillator has, over the years, reached Holy Grail status among many amateurs. Originals are guarded like precious jewels and handed down from father to son ... or in George's case, from uncle to nephew! 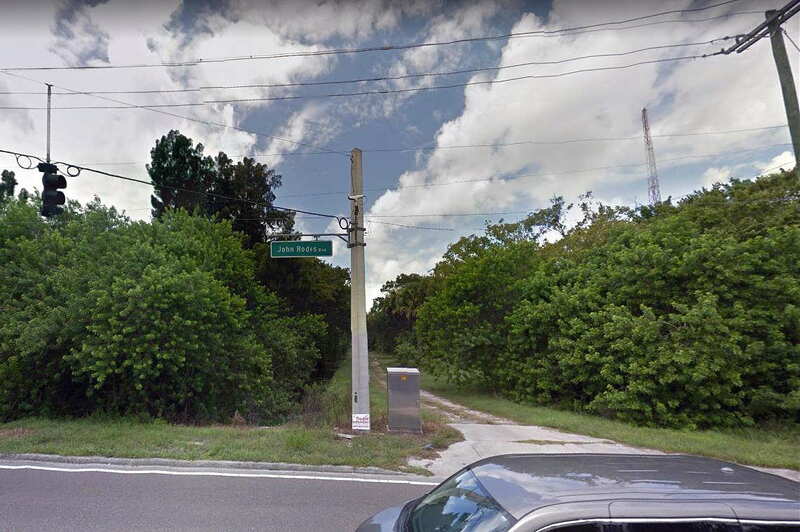 I was astounded at the strength of his signal and before exchanging '73's added 'CUL on 80', not really thinking how low the chances of that might really be. Two hours later, his even stronger 'CQ NRR' was heard on 80m, as his 579 signal flirted with reaching S8 ... all emanating from just a low hanging inverted-V. It's nights like this that remind me how I was bitten by the radio bug so many years ago and to have them coincide with the NRR was an added bonus. I've rated my contacts with George's AC-1 the highlight of this year's NRR for me! Heathkits were plentiful too, with the DX-60 seeming to be the rig of choice, often paired with the matching HG-10 VFO. Both Mark, VA7MM and Gary, W8PU, packed a wallop with these fine examples. But it wasn't just DX-60s representing Benton Harbor engineering in the NRR. All of these neat old Heaths made it out to the west coast, sometimes on both 40 and 80. KN8RHM's (Rick) HW-16 made it here on 40m with a solid signal almost every night, while KE4OH (Steve) sported a modernized DX-20 in the form of Heath's HX-11. Steve even received the highly-treasured 'OO' report for his NRR chirp ... good job! Not to be forgotten was the ubiquitous DX-40, used by several, including this proud old warhorse, lovingly keyed by Doug, N3PDT. Rich, WN7NRR / AG5M operating in nearby Washington state put some of his 44 crystals to work with his HW-16 ... that's some collection! It seems that many NRRers are as adept with a soldering iron as they are with a hand key, as several homebrew transmitters were worked from here as well. 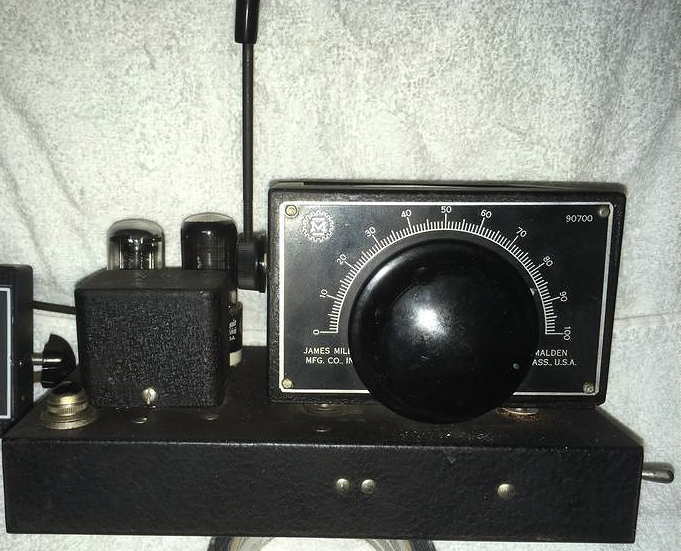 Howie, WB2AWQ in Reno, was using his homebrew pair of 807s, driven with a Millen 90700 swing-arm VFO from 1945. Most shacks worldwide, including the Novices, found plenty of use for the 807 as they were dirt-cheap in the post war surplus market. The filament has a beautiful illumination and if a bit gassy as most are by now, emit a wonderous blue glow with each press of the key. KD7JG (Joe) in Oregon, sported a 12 volt version of the 807, a 1625, in his home brew rock-crusher. With 25 watts into his ladderline-fed 160m inverted-V, his 599 signal up here was hard to miss on both 40 and 80m. 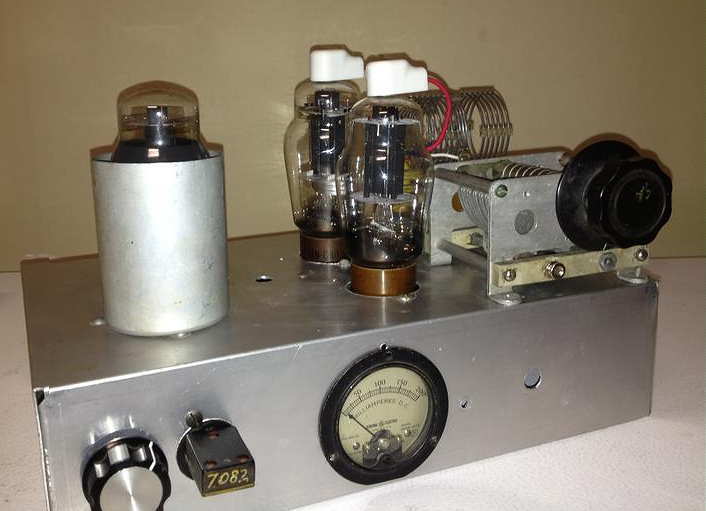 K4IBZ down in Florida also utilized the magical 6DQ6 sweep tube in his homebrew rig for 80 and 40m. Bill was worked on both bands from here with his 10 watts receiving a 569 on both contacts. 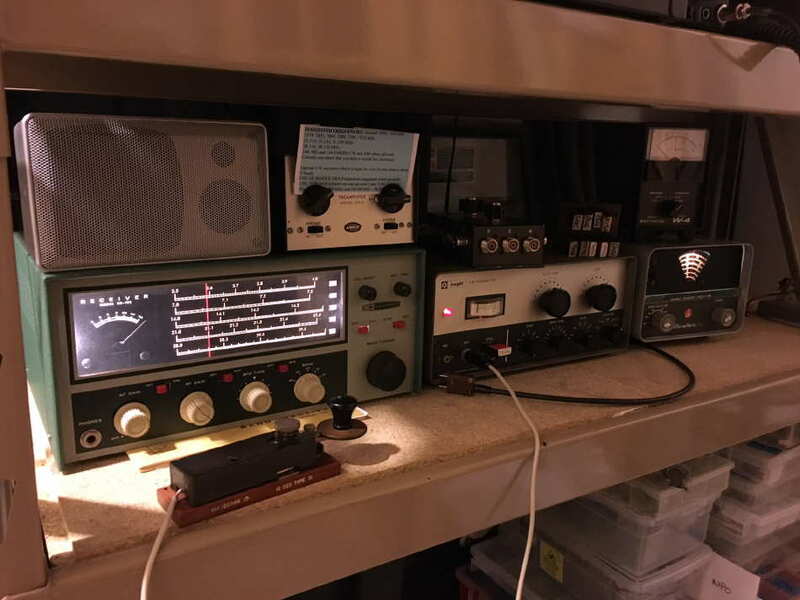 AA8V, Greg in Maryland, used an LM-13 war surplus frequency meter to drive a popular Novice pairing of the 6AG7 / 6146 at 90W input ... good enough for a 579 report on 40m, 30 minutes before my sunset. 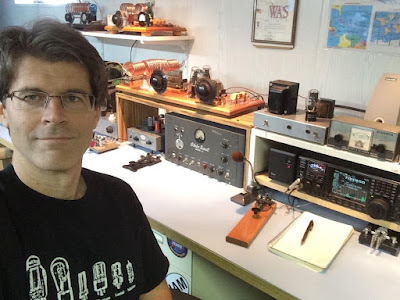 The runner-up highlight was my 80m QSO with Lou, VE3BDV / VE3AWA who worked me on 3568 kHz using his Bare-Essentials 50C5 crystal controlled power oscillator at 7 watts. 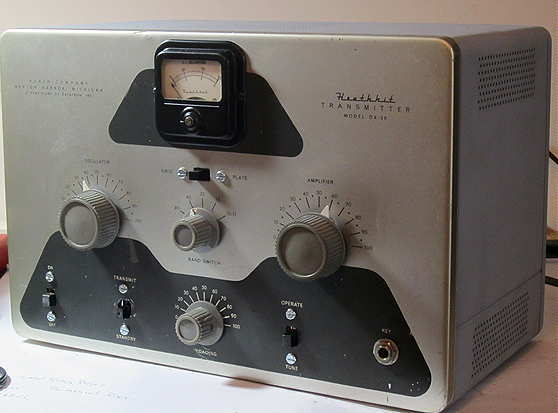 I understand that this rig enjoyed some popularity among many Novices as a 'first transmitter'. Being connected directly across the A.C. mains, fully exposed, would require some delicate handling! There are many more stories to share and you can soon read them all on the NRR 2018 Soapbox page once it gets published. If you participated, be sure to post your station picture and tell us about your experience! I finished up the NRR with 123 contacts, a lot better than last year's event when I was running the Longfeller at 5 watts. If you think that you might enjoy participating in the next event then now is the time to start preparing ... just 353 more sleeps until the 2019 NRR begins!! An interesting thread has developed recently on the e-ham.net reflector concerning the enjoyment of your radio hobby from a condo / townhouse or similar sites subjected to the typical 'no outside antenna' rules. 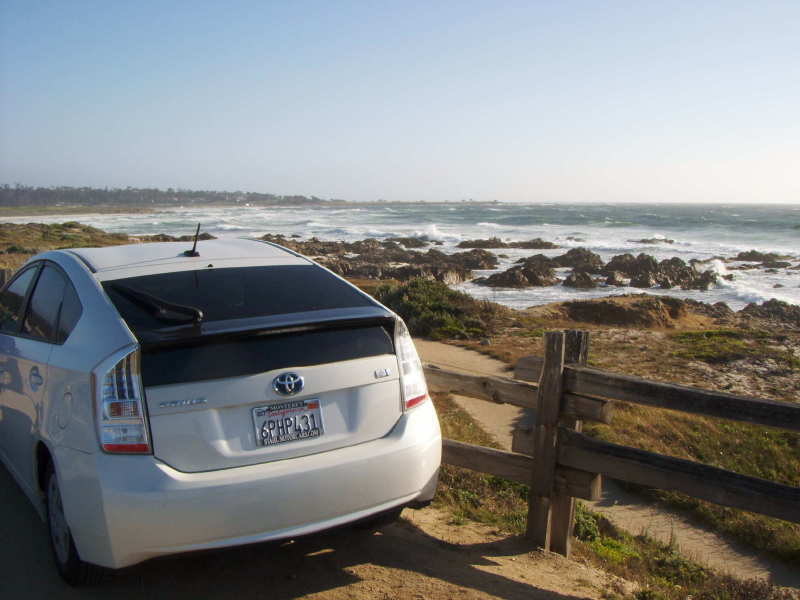 Rick, KB2NAT, describes the learning curve in his 'How To Overcome Some Condo Issues' post. Amateurs contemplating downsizing to a restricted development or those finding themselves in a similar situation to Rick will likely soon be subjected to more noise, less space, more neighbours and an abundance of rules. Hopefully the comments of Rick and others will be helpful if this is your situation. For many restricted hams, Mag loops appear to be a popular choice and one of the comments points to a good deal of information on building one for yourself. The Villages Amateur Radio Club (K4VRC) group's 'resources' link will provide some interesting ideas for restricted antenna builders. 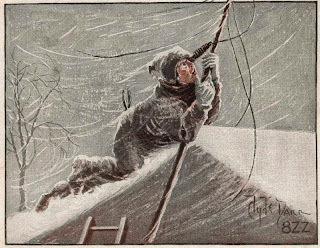 As well, they have put together an informational presentation, full of great antenna ideas for those contemplating ways to get on the air from antenna-restricted locations. If you live in the USA, the 'Freedom to Display the American Flag Act of 2005' has been used by many antenna-restricted hams, to legally erect their own 'antenna flagpole'! It may be an easy route for a nice antenna system for you as well. The 'Novice Rig Roundup' Starts Tomorrow! Just a reminder that 9 days of CW operating fun begins tomorrow afternoon. After last year's most enjoyable event, the NRR is now one of my 'must do' operating activities. You can read all about it here. If you have any interest in tuning around the international shortwave bands or perhaps are wondering what can be heard there, the daily logs of several dedicated listeners can be found in the Groups.io World of Radio as well as in Yahoo's DXLD group. I particularly enjoy the information posted in 'Ron's Logs' and marvel at some of the DX that he hears each morning from his car! Ron lives in the seaside city of Monterey (CA) and on most mornings he makes the short pre-dawn drive to Asilomar State Beach (CA), a spectacular location on the coast. After stringing out his 100' wire antenna on the nearby fence posts, Ron proceeds to log and record some truly exotic stuff before heading home. Early last Fall, before being aware of Ron's daily regime, I had visited his exact location and after watching the big sea lions playing in the surf, had drooled over the location's great DX potential, little knowing that Ron had likely packed his gear up and headed home just a few hours before my arrival! I'm sure you'll be inspired to tune around the SW broadcast bands after checking out these Group's daily posts.